Like its predecessor MORE OR LESS 2 is a somewhat different party game with quiz as its focal point. 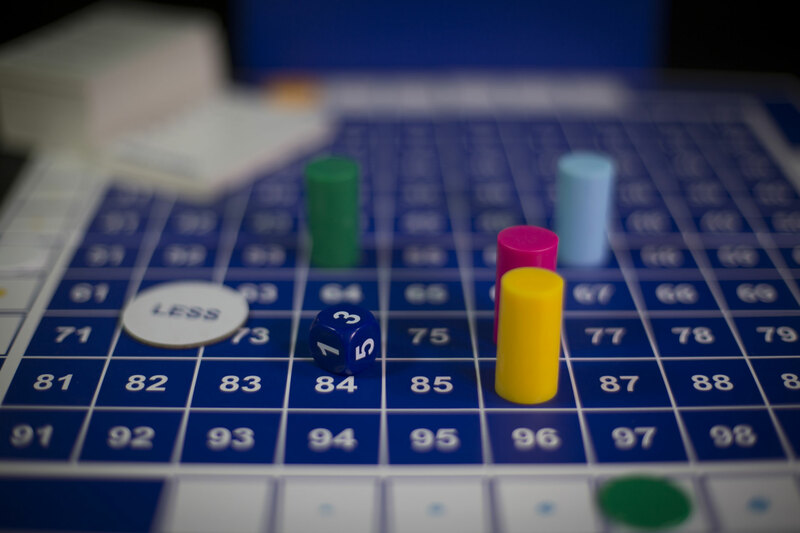 Players are presented with a vast number of questions which are close to imppossible to answer so common sense is your best skill in this game. The game is for 2-4 players or teams. 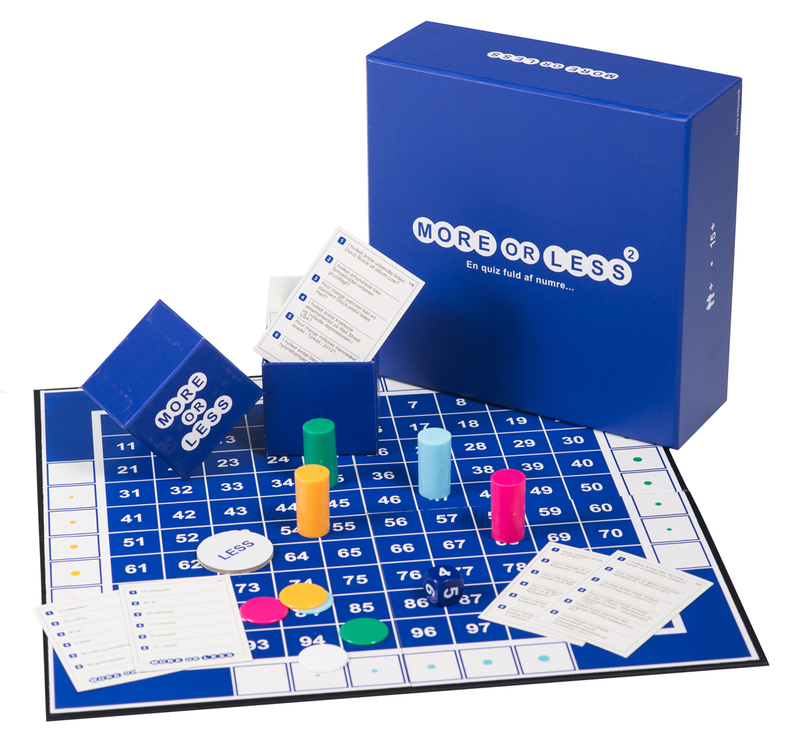 As opposed to the original game this version has a game board and a more tactical side making it even more difficult as you might be influenced by the other players guesses on the board.